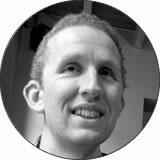 Tall Projects is a membership technology consultancy led by Edward Kay. Our speciality is small- to medium-sized membership bodies, typically with 3-20 staff. We start by understanding the needs of your members and your organisation. We then scope and deliver an appropriate project that delivers solid return on investment. Projects usually centre around a new website and member database. We offer a range of management and support packages tailored for membership organisations. Let Tall Projects handle the technology so you can focus on what you do best. 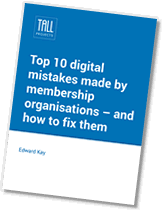 “Ed has been a tremendous support to our organisation and is clearly an expert in digital tech for membership organisations. Frankly, until we met Ed, our use of technology was rather limited. Since he started working for us he has transformed our operations and significantly improved our use of technology. “I have worked with Ed on three projects, and I wouldn’t hesitate to recommend him or use him again. He knows exactly what he’s talking about, which means his advice is spot on, and he gets to the heart of a project quickly. “It’s a pleasure working with Tall Projects. They are easy to work with and helped us produce a website fit for purpose and future-proofed. “Ed at Tall Projects is an excellent project manager. We particularly appreciated the way he approached and ran the work on our digital project and kept it on track and on budget. “Our boat club hired Tall Projects to customise our off-the-shelf membership website. Ed’s work has been outstandingly efficient and we got exactly what we wanted. Perhaps the most satisfying aspect of his work has been his diligence. When a road block was encountered with our website providers, Ed could have walked away. He didn’t. He found a novel way of making things work. Take the first step to a better future for your members – with a free advice call. I’m friendly, efficient and speak in plain English. No hard sell. Just a quick chat to see if there’s a fit.